The dramatic growth of government over the course of the twentieth century since the New Deal prompts concern among libertarians and conservatives and also among those who worry about government’s costs, efficiency, and quality of service. These concerns, combined with rising confidence in private markets, motivate the widespread shift of federal and state government work to private organizations. This shift typically alters only who performs the work, not who pays or is ultimately responsible for it. “Government by contract” now includes military intelligence, environmental monitoring, prison management, and interrogation of terrorism suspects. Outsourcing government work raises questions of accountability. What role should costs, quality, and democratic oversight play in contracting out government work? 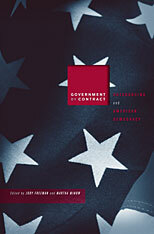 What tools do citizens and consumers need to evaluate the effectiveness of government contracts? How can the work be structured for optimal performance as well as compliance with public values? 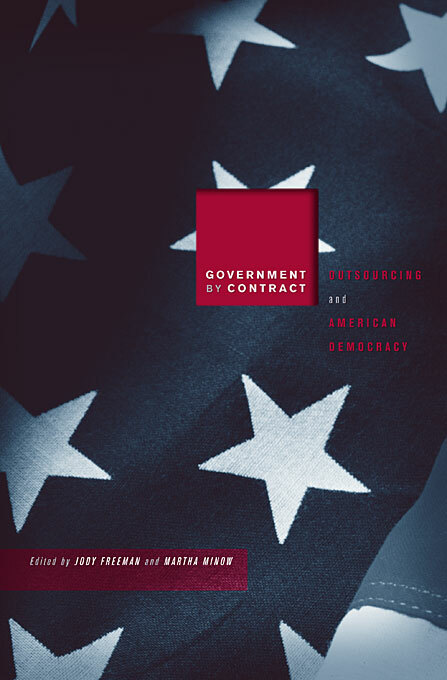 Government by Contract explains the phenomenon and scope of government outsourcing and sets an agenda for future research attentive to workforce capacities as well as legal, economic, and political concerns.